Taking to the stage will be a treasure trove of Australian artists including Billie McCarthy, Diesel & Lily Lizotte, James Reyne, Jimmy Barnes, Jonathan Zwartz Ensemble, Loose Ends (Ben Quilty, Guy Maestri, Luke Sciberras, Leslie Rice and Andre de Borde), Mahalia Barnes, Minnie Cooper, Ngaiire, Steve Balbi and Thief. Art of Music Live is a music concert held every two years, and is an extension of the incredibly successful ART OF MUSIC event series. Presented by Jenny Morris, ART OF MUSIC combines both visual arts and music. Held every two years, a group of Australia’s top visual artists come together to create an original exhibition where each artist chooses an iconic Australian/NZ song to inspire an artwork. The work is then auctioned at a gala dinner in the Art Gallery of New South Wales. Since the inaugural event in 2006, ART OF MUSIC has raised over one million dollars for Nordoff-Robbins Music Therapy. 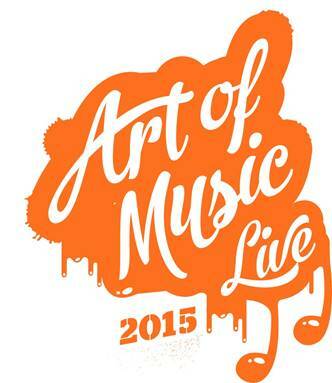 Art of Music Live is an extension of ART OF MUSIC. Curated by Jenny Morris, Art of Music Live brings the paintings to life, the music works are given a unique treatment by outstanding and creative performers who bring the music to life on stage at the iconic Sydney Opera House. All proceeds from Art Of Music Live go to Nordoff-Robbins Music Therapy who transform lives through music. We all know how powerful music is in our day-to-day lives, but it is even more powerful in a therapeutic environment. Nordoff-Robbins have given children speech, when they were told they would never speak. It has given people motor skills, when they were told they would never be able to move their arms again. And it has given new life to the elderly struggling with Dementia. The power of music truly has no boundaries. Ticket cost: $199 per ticket includes concert and access to the exclusive, pre-show cocktail party. Tickets to this special event are available now and the booking form can be accessed from www.artofmusiclive.eventbrite.com.